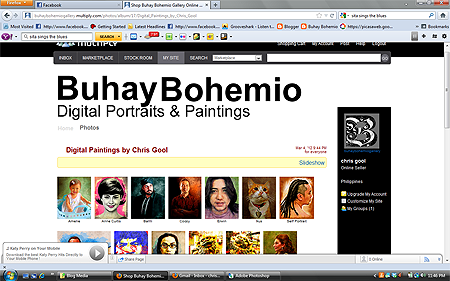 I created a separate website for my digital painting services on multiply. (Click the image above to get there.) I made it at simple as possible. I don't wish to spend too much time customizing it. Besides, less elements is good - it puts emphasis on the artworks.